MTN BBlite left without saying bye, and since then there have been no data plan as cheaper compare to MTN BBlite when it comes to unlimited streaming and downloads. 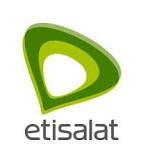 But the good news is that Etisalat BBlite plan has come to take the role of Mtn bblite.you can now get back to unlimited streaming and download with Etisalat BB10 plans, tested and working. NOTE:Its not totally unlimited , all plans are capped 6gb, either DAILY,WEEKLY AND MONTHLY.the best thing is you can still browse on social media even when plans is exhuasted. create a New APN settings on your phone as the below. dont fail to drop comments or complain ..
Wow.....dix tweak is working lyk magic... actually sure ma ba3 is going to gt Down 2nit....tnx admin expecting more.